Sharon’s new industrial jewelry. White opals everywhere!! 4mm white opal balls on the ends, 3mm cabochon and 4mm princess cut white opal in the center. Jewelry from Anatometal and Industrial Strength. This is the sort of high quality jewelry that will make your piercing experience with AJ so enjoyable and one of a kind. We have it all. If not, like this piece, we’ll order it for you and you’ll have it on you within a week. Thank you everyone. The toy drive was a success. Hey I know its a little late, but oh well. 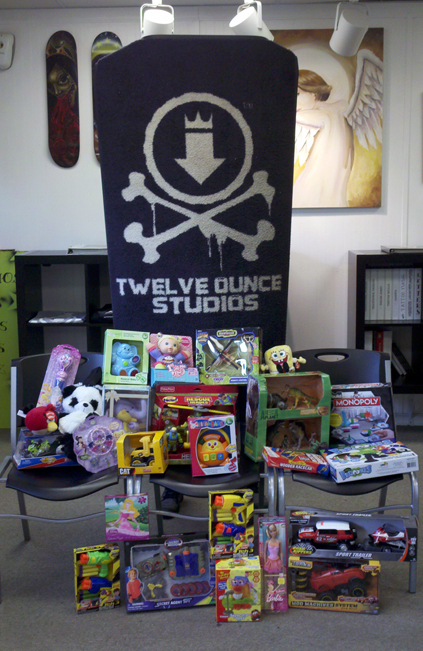 We wanted to take the time and thank all of our awesome customers and staff for helping out with our annual toy drive at 12 Oz Studios. 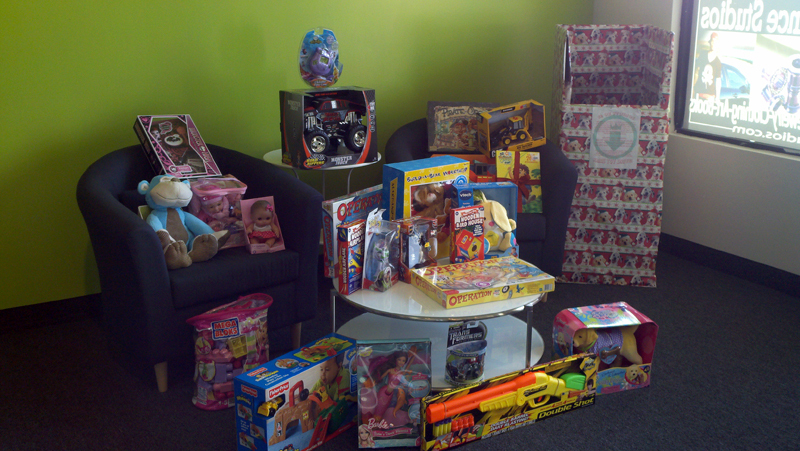 With 2 locations this year it looks like we collected twice as much. 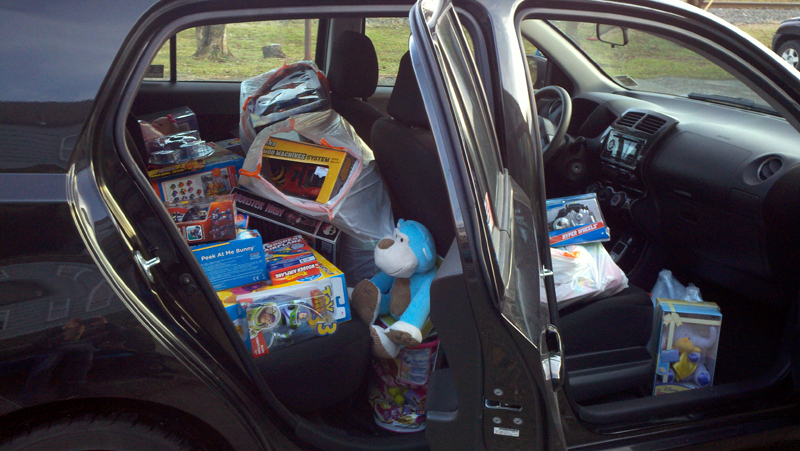 We collected a good amount this year and as you can see, AL’s car was PACKED! Great job everybody . I know there was a lot of happy kids on Christmas morning. We were glad we could help.